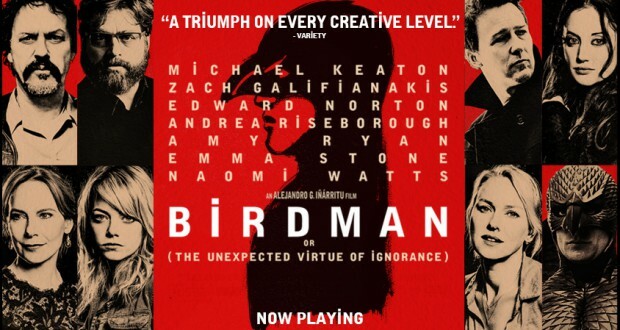 Sitting in the darkened cinema watching Birdman or (The Unexpected Virtue of Ignorance), I continued to have the same thought rolling through my mind over and over again: ‘This is brilliant.’ With each new plot twist my smile widened. I loved everything about this film. And sure, that’s great, it’s amazing, but it makes reviewing it all the more difficult. I have to actually take a step back and look at this masterpiece with objectivity. I’m not sure I’m going to be able to do that. The film was directed, co-written, and produced by Alejandro González Iñárritu, a Mexican filmmaker who has made his name in Hollywood over the years with critically acclaimed films such as Babel (2006) and 21 Grams (2003). Birdman feels similar in many ways to Darren Aronofsky’s 2010 film Black Swan – though where Black Swan is a dark thriller or horror, Birdman is a black comedy. Both films play with blurred lines between what is real and what is imagined, especially imagined scenarios caused by stress and confusion about the self. Birdman uses brilliant actors, fantastic cinematography, and the exploration of the self and our interaction with the reality around us to create a moving, individual, and funny film. 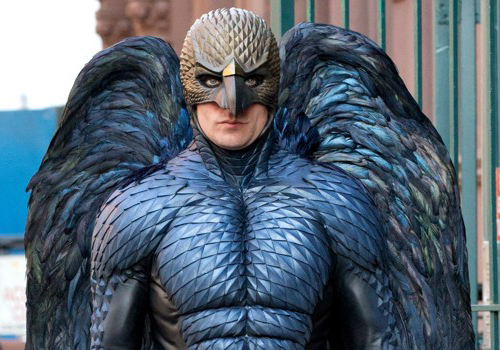 Riggan Thomson (Michael Keaton) was once a big Hollywood actor known for his role as superhero Birdman. Since declining to take on a fourth installment of the hugely successful franchise in favour of trying to be a ‘real actor’, his career has plummeted. Twenty years on, he is trying to reclaim his glory by writing, directing, and starring in a theatrical adaptation of a Raymond Carver short story, ‘What We Talk About When We Talk About Love’. As the stresses of producing a Broadway production play on Riggan, his tenuous grip on reality is pushed to its limits. He begins to lose himself, wondering whether he is Riggan or Birdman, and trying to decide whether the powers he has developed are real. The film focuses on the story of one man, but of course there are external players to everyone’s personal story. 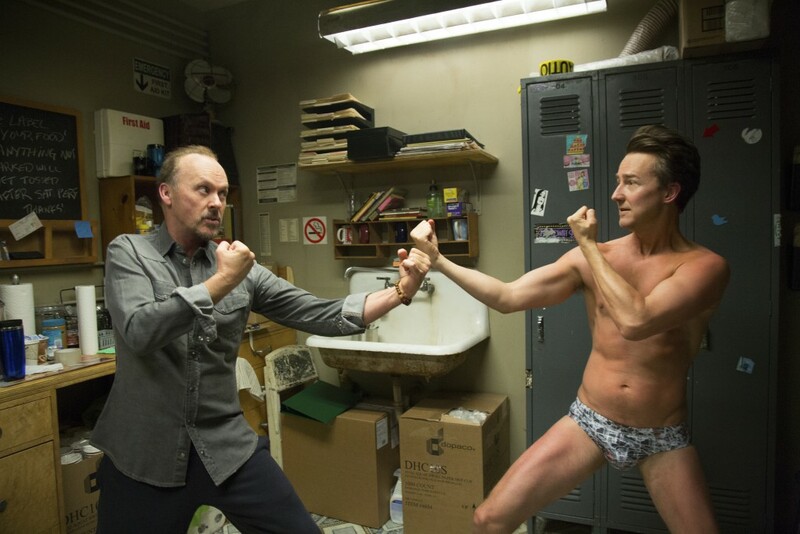 The supporting cast of Birdman is fantastic, with amazing performances from Edward Norton, Emma Stone, Zach Galifianakis, Amy Ryan, Andrea Riseborough, Lindsay Duncan, and Naomi Watts. As an ensemble, the cast has been nominated (and won) a number of high-profile awards, with more potentially pending. It is unsurprising that Keaton’s performance, the heart of the film, is the one that most stands out. I have long been a fan of Keating and disappointed that he hasn’t been featured more in recent years. But Birdman has given him the perfect opportunity to remind us all of just how brilliant he is. While on screen his character mixes up reality with his acting past, it also plays on the meta element of Keating having been Batman (and my personal favourite Batman) all those years ago. Edward Norton is the other truly standout performance of the film. As always, Norton’s intensity lights up the screen. He plays the ultimate narcissistic, method actor – obsessed with realism and authenticity, but only able to achieve it when he is performing, playing at being someone else. Norton’s character is volatile, clashing with Keaton on screen as an active force, making Riggan question more and more about who he is. The cinematography, like the ensemble cast, has already been recognized with countless industry awards. Most of the film is photographed to appear like one continuous shot (something also helped by brilliant editing, something that has also been recognized by awards – you getting the picture yet?!). A number of scenes also see the camera switching from a kind of third person, objective p.o.v. to seeing the scene from one of the character’s points of view, something it does seamlessly, within the continuous one-shot framework of the overall piece. The constant motion represents the chaos of the behind the scenes theatre world as well as the chaotic mind of Riggan. And amongst the chaos is beauty, a flow of information and action, a continual forward momentum. The film never seems to slow down, always moving, always finding another plot thread to intrigue the audience. Who are you? Why do you matter? Birdman asks questions we all face. Who are we really? Do we matter? Are we really here? Will anyone care if I die? What will they say about me after I’m gone? These questions are particularly poignant for creative types, be they writers, actors, musicians… people who create something external to them and yet still a part of them. Who are they at the end – the creative product or something separate and relevant despite their oeuvre? While we all struggle to deal with what other people think of us (unless we are Mike Shiner, aka Edward Norton in this piece), it is really our perception of ourselves that matters. It is also our choices that affect our perceptions and our successes or failures. Things start to go well for Riggan once he decides to accept himself and what he is doing. Living in fear of failure is a magnet for the failure he so desperately wants to avoid. Once he shakes off that fear, he is free. 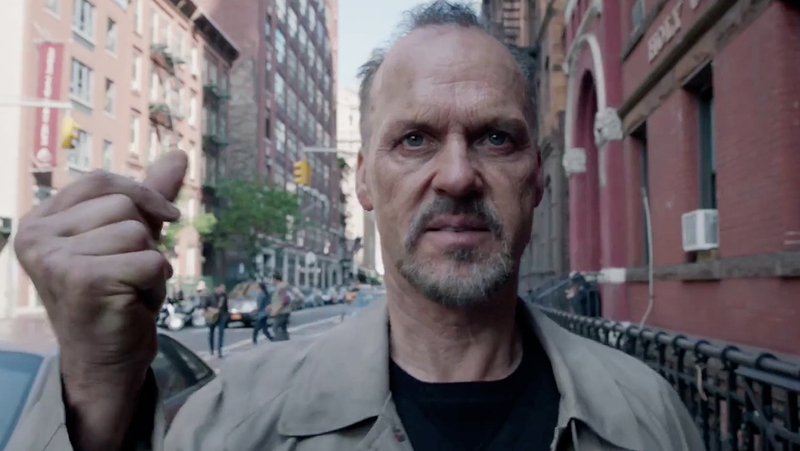 Verdict: Birdman is one of the best films I have seen in years and one we will all be talking about for years to come. Spotlight: They knew and they let it happen X-Men: Days of Future Past – There is a new enemy out there: mutants. St. Vincent: Love thy neighbour The Revenant: He knows how far I came to find him.